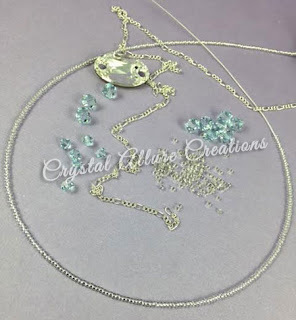 Both Citrine and Topaz are associated with November's birthstone, however, each possess their own qualities to both the wearer and in jewelry design. While many birthstones have kept changing over the years, the topaz is one gemstone that has been universally accepted as the modern birthstone for November. And in keeping with both ancient Egyptians and Romans who connected the topaz with the sun god, the modern day topaz is also known as Sunday's gemstone -a reminder to its' association with the sun. The days of the week were named for the Sun (Sunday), the Moon (Monday), and five planets: Mars (Tuesday), Mercury (Wednesday), Jupiter (Thursday), Venus (Friday) and, Saturn (Saturday). Topaz makes an ideal birthstone because of its' hardness, rich rainbow of colors, abundance and availability. 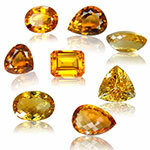 Prized for several thousand years in antiquity, all yellow gems in antiquity were called topaz. The most prized color of topaz are golden-orange with pinkish undertones, called Imperial Topaz, after the Russian Czars of the 1800s. 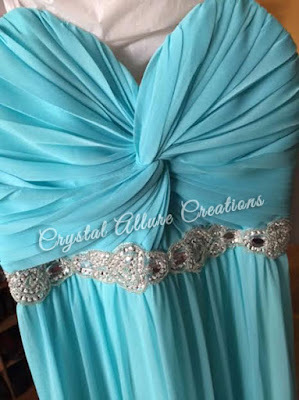 Topaz also comes in yellow, pink, purple, orange, and the many popular blue tones. Did you know? Some Imperial Topaz stones can fade on exposure to sunlight for an extended period of time. The name "topaz" (Topaze French, Topas German, Topacio Spanish) is derived from the Greek "topas" or "to seek" -the ancient name of St. John's Island in the Red Sea, which was difficult to find and from which a yellow stone was mined in ancient times. Topaz, itself, was not really known about before the classical era. The word topaz is related to the Sanskrit word "tapas" (meaning "heat" or "fire"). There was an ancient belief that this stone of fire could control heat and had power over boiling water, which is reason enough to believe that anyone who wears a topaz can control his anger or fever in the body. The shades of topaz range from amber gold to fine cognac, from a pink-orange hue to peach, and all different tones of brown. Blue Topaz is another variety of this gem that has gained much popularity in recent times. Topaz has always been greatly valued for its stunning hues and mystical powers. The Egyptians believed that the gem protected its' wearer from any harm. The golden glow led Romans to associate the gem with Jupiter, who is God of the Sun. The gemstone is also held symbolic of strength and intelligence and it is even believed that the gem has calming effect on its wearer. In crystal healing, topaz is said to help with gout, blood disorders, hemorrhages, poor appetite, tissue regeneration, tuberculosis, aging (reverses), endocrine system, asthma and insomnia. 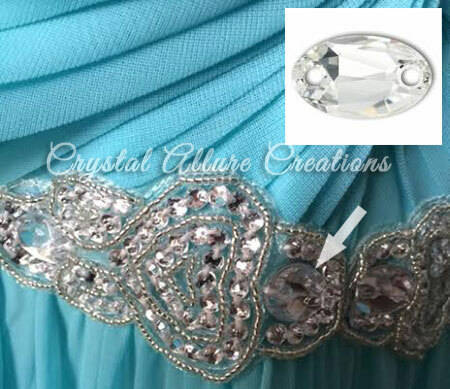 Genuine topaz gemstone is rivaled by the consistency of cut, color, brilliance, quality and affordability of the topaz Swarovski Crystal. The traditional gemstone Citrine has a golden hue and is similar in appearance to the modern (yellow) topaz gemstone. While these gemstones may appear similar there are some differences. Topaz scores an 8 on Mohs scale of Hardness whereas, citrine is relatively soft and also lacks the brilliance of a topaz. The earthen toned citrine gemstone derives its name from the French word Citron, which means lemon. It gained much popularity in the retro jewelry of the 1940s and was often paired with peridot, ruby and aquamarine in brooches, necklaces and other jewelry of that era. Due to its resemblance to topaz, citrine was also called quartz topaz and has even been sold as topaz gemstones. 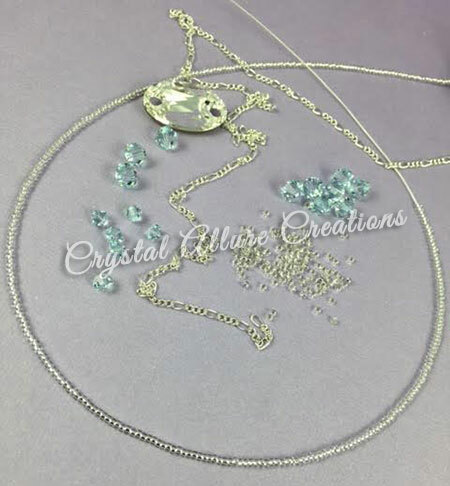 Citrine can be found in a variety of shades ranging from pastel yellow to dark brownish orange. Citrine is known as the "healing quartz". This golden gemstone is said to support vitality and health while encouraging and guiding hope, energy and warmth within the wearer. Citrine is sometimes used by healers to help with digestion as it is considered beneficial to the endocrine and digestive system - cleansing, purifying and eliminating poisons that have built up. Citrine is an excellent stone to calm and soothe distressed conditions. Some use it to help relieve depression and digestive problems (including constipation and diabetes). -The November birthstone flower is Chrysanthemum. Topaz is the gemstone for those born under the zodiac sign of Sagittarius (November 23rd-December 21st). Blue topaz is the suggested 4th anniversary gemstone; citrine is the 11th and 13th anniversary gemstone; Imperial topaz is the 23rd anniversary gemstone and golden topaz is the suggested 50th anniversary gemstone. Raise your hand if you are an Autumn Girl. Come on, you know what I mean. A good example: you know you are an Autumn Girl if.....summer hasn't even officially arrived yet (June 21st) and you are already day dreaming about the fall season. lol! Don't get me wrong, I do like the sun filled days of summer, but, I'm not a sun worshiper. For me, there's just so much excitement in the air when autumn approaches and it's the perfect season to up your handmade fall jewelry collection. It is exactly that 'warm and fuzzy' feeling of the autumn and winter seasons that inspired these gorgeous beaded hair accessories. 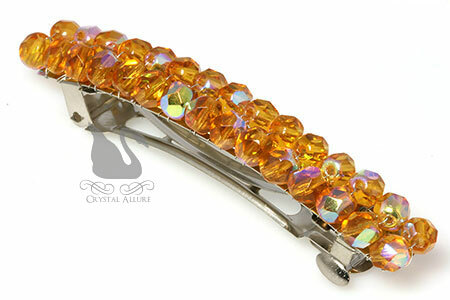 Although each of the beaded barrettes below have sold, it may be possible to recreate them. If you are interested in a holiday themed hair clip(s), contact me to discuss options. 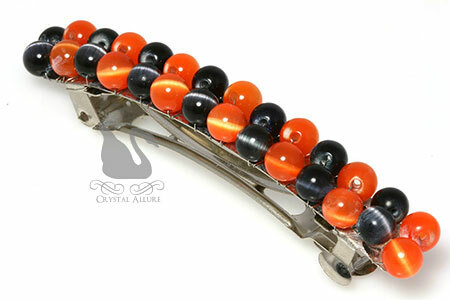 Celebrate the October Halloween holiday with this not-so-scary black and orange beaded barrette. Design features alternating black and orange grade A fiber optic cat's eye glass beads hand wire wrapped to a 3" barrette hair clip. The month of November begins a time when the sun doesn't shine as bright as it did in the summertime. But, the aurora borealis (AB) coating on these sparkling golden topaz Czech fire-polished beads will surely capture the autumn sun. Beads were hand wire wrapped to a 3" barrette. 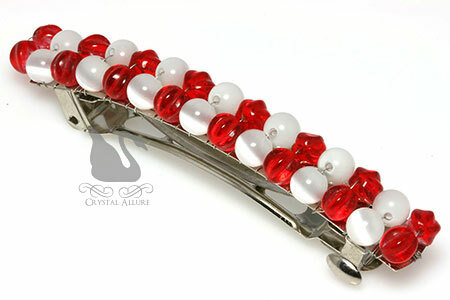 Rounding out the holiday themed bead barrettes is this beautiful bead barrette that is full of HO-HO-HO merry charm featuring a red and white color Christmas theme. Alternating along the 3" barrette are hand wire wrapped fluted red glass beads and white grade A fiber optic cat's eye beads. Inspired by these beautiful designs and want to create your own custom hair accessory? Contact me to discuss your idea and let's make it 'together'. On May 22, 2015 I receive an email from Britton who was interested in purchasing the Transplant Awareness Ribbons Bracelet (B105). He wanted an engraved heart charm with the date 6/3/2014 and an awareness ribbon charm. Britton also needed the bracelet by June 3rd. Due to time constraints and inventory availability, I offered Britton other sterling silver heart charm choices. 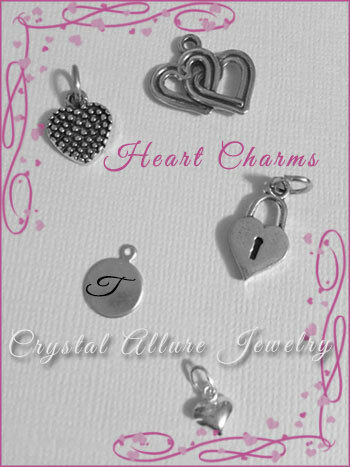 Along with these choices, was the option to hand stamp a jewelry charm with Tatyana's first initial. The process was started by me sending him a "rough draft" image of his bracelet with one of the heart charms I had in stock. Through our email exchanges I began to learn about Britton and why he was making a custom awareness bracelet request. Britton was given the gift of life, by his significant other, Tatyana. On 6/3/2014, Tatyana was a kidney donor to Britton and in his words, "saved my life." In celebration of their 1st year kidney-versary, Britton wanted to have a custom kidney donor jewelry bracelet designed to honor her and to show his love and appreciation for her selfless act. Britton even went the extra mile by measuring one of Tatyana's bracelets and sending me a picture of the bracelet next to a measuring tape -just so we could be sure to get her the correct size. At this point, Britton wasn't really feeling the heart charm picture I had previously sent (which included the heart charm at the bottom of the image above). So, I made the suggestion that I would send him a picture of all the heart charms I had in stock. Much to my excitement, I came across a heart charm that I forgot I had (that's what happens when you have a jewelry obsession!). When I emailed the picture, I gave a little summary of each charm. But, the charm I had my eye on was the interwoven hearts; a symbol of two hearts that have become one. Once I had learned that Britton and Tatyana were not only a couple but now also shared such a deep, heartfelt bonding experience.... I just knew the best charm choice that was that one double heart charm. And Britton felt the same. Thank you Britton for entrusting me (and Crystal Allure Jewelry) with this very special custom awareness bracelet design for a truly special couple. It was my honor to design this memorable and meaningful keepsake treasure. Enjoy! "Love it. Thanks so very much for being a part of this special day." "Hey it's Britton. My wife loved it. Thank you so very much." 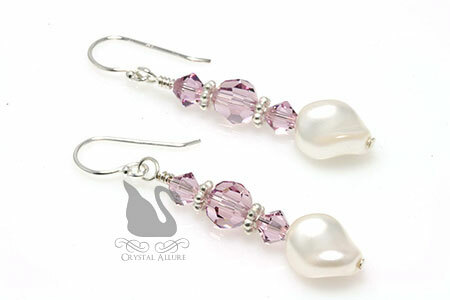 We are often asked, "What colors are associated with different cancers in jewelry?" So, it was a great reason to create this comprehensive cancer colors guide. Most of us have been touched in some way by cancer, whether through family, friends or co-workers. Compiled below is a guide to cancer awareness ribbon colors which is an excerpt from the popular Awareness Ribbon Colors and Meanings Guide. Find below the awareness ribbon color for each corresponding cancer. This is a living document, in that, it will be updated as new colors are discovered for the various cancers. If you find a cancer missing from this list, please email me for possible inclusion in this cancer color guide. This article was last updated August 3, 2015. Earlier last year I introduced you to Joann and the Custom Multi-Cancer Awareness Bracelets (BA219) she had me design to raise awareness for three cancers that had affected her family: bladder cancer, thyroid cancer and kidney cancer. It was shortly after speaking with Joann that I vowed to create more cancer awareness bracelets. To be diagnosed with cancer is devastating news. Your mind and body run through a range of feelings and emotions; your thoughts turn to your family and friends; you wonder how you will manage this unwanted path in your life and then....your thoughts turn to fighting this cancer. Your mantra becomes, 'I will not let this Cancer beat me!' Throughout your treatment your support team is also dealing with your diagnosis. It may not be the same feelings you are dealing with, but they are also going through this with you. 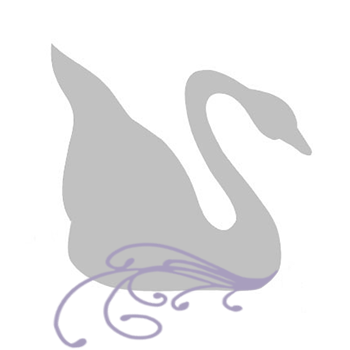 Earlier this year, I learned a dear friend's mother had been diagnosed with pancreatic cancer. Your pancreas, shaped somewhat like a pear, lies horizontally behind the lower part of your stomach. It is responsible for secreting enzymes that aid in digestion, as well as, hormones to help regulate the metabolism of sugars. When I met my friend this past weekend, I learned her mother is in the stage of managing her pain; both my friend and her sister have now become caregivers. I could see this has been a difficult time for her and my heart went out to her. It is not easy to be a caregiver and sometimes we forget, or are not aware of, just how much of themselves they give and give up to be a caregiver. Both hearing from my friend and from the research I did for this blog article, pancreatic cancer often has a poor prognosis. One of the main reasons is because symptoms may not appear until it is already quite advance, which is why it is seldom detected in its early stages. Compounding this issue is the fact that pancreatic cancer also spreads rapidly. I am sharing this information with you about pancreatic cancer in honor of my dear friend and her mother. It is my hope you will help spread the word about PC and urge your friends and family to learn more about it. Although I'm aware of the prognosis for my friends' mother, as a cancer caregiver, both the affected and their support team are survivors. This is truly a unique cancer awareness bracelet. Both handcrafted and beaded this design was created with a variety of colorful faceted fire agate gemstones (to represent the different cancer awareness ribbon colors), sterling silver beads with sterling awareness ribbon charm and signature jewelry tag. Aside from the one of a kind gemstones used in the design, the magnetic clasp allows you to wear this 14-1/4" length gem strand double wrapped to comfortably fit an average 7-1/2" bracelet size. 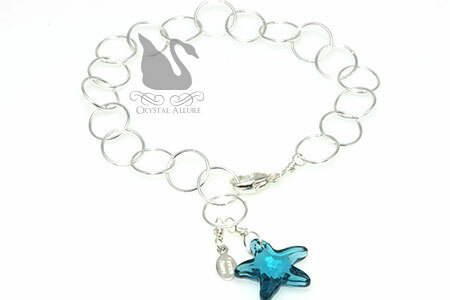 It's really a double strand bracelet uniquely designed as a single strand that you can wrap. 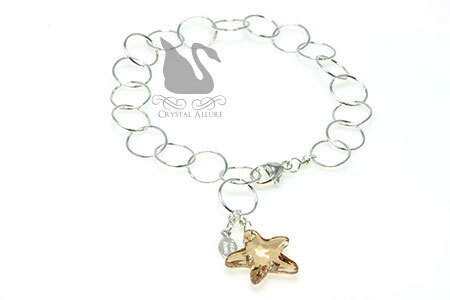 This cancer awareness bracelet design is a one of a kind!